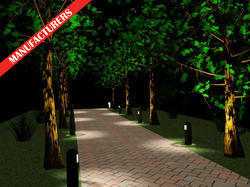 We are a leading Exporter of bollard lighting from Mangalore, India. Bollard Lighting is available in different designs and other specifications to meet the diverse requirement of our clients. It is commonly used in homes, hotels and other places where downlight fitting is needed.